T and I recently went to a new steakhouse in Greenville called Rare. They came up on Living Social a few months ago and we jumped on the deal. I was a little dubious going into it because I've heard mixed reviews on Rare, but our meal was phenomenal. We started with the Sesame Seed Crusted Ahi Tuna. Then shared a wedge salad. Next was a dozen oysters on the halfshell, half of them with sake and wasabi caviar. 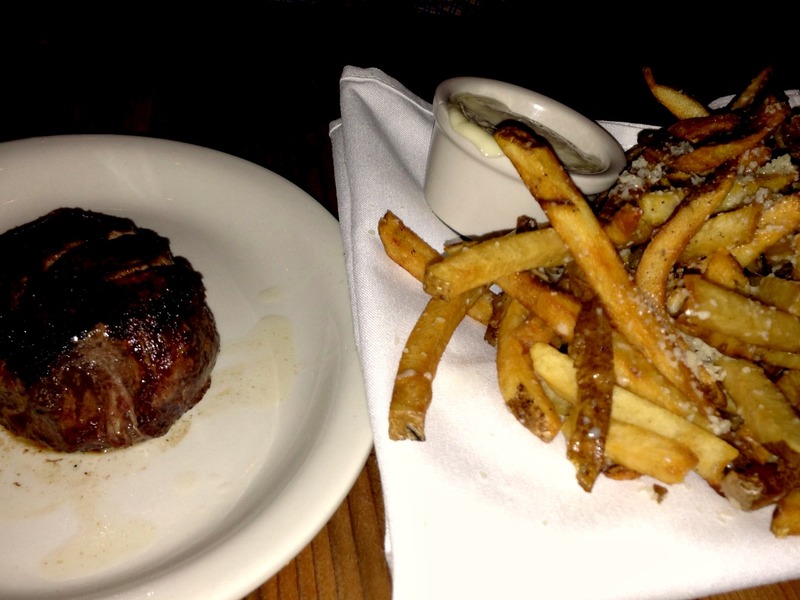 And then finally we finished it all off with the Petite Filet and Duck Fat French Fries. T and I can cook a mean steak at home, and I always feel like we could cook a better steak for the fraction of the restaurant's price, so we never go to steakhouses. This filet was far better than anything we could have created. It was crispy and a little crunchy on the outside, but still perfectly medium-rare on the inside and not a bit chewy. We ended up having entirely too much food, but every bit of it was good. I just wished I had saved more room for those duck fat french fries. After 3 or 4 fries I reached my limit and finally had to stop myself. 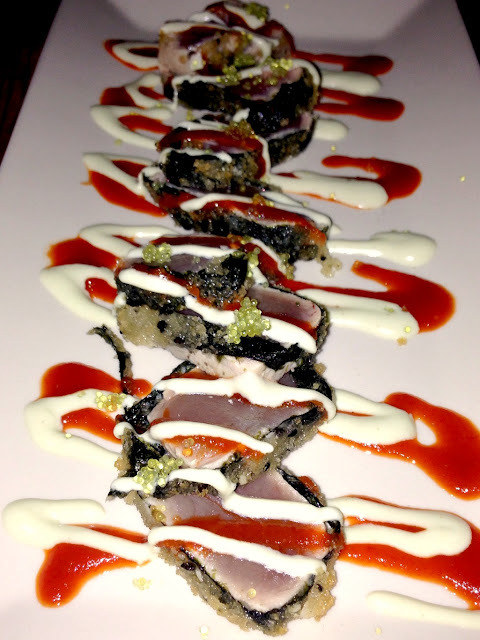 We'll be back for sure, but next time we will forgo the appetizer and 1/2 dozen of the oysters.